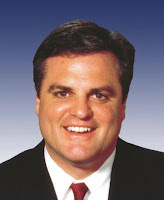 by Aaron Sadler, Stephens Washington Bureau: Sen. Mark Pryor (D-AR) urged renewal of tariffs on steel imports from China and other countries Tuesday, concerned that easing the trade barrier may cost Arkansas jobs. . . . Pryor testified before the U.S. International Trade Comm., . . . Pryor said American companies would be unable to invest in employees and technology without the tariffs. "It's unfair and damaging when they are forced to compete against foreign steel producers who receive massive subsidies or those who engage in unfair trade practices." The domestic steel industry reported . . . that Chinese producers have received more than $52 billion in government assistance. Steel mills in Arkansas are located in Newport, Magnolia, Armorel, Fort Smith, Little Rock and Pine Bluff.